AJ Styles soaking it all in, at his first Wrestlemania. He is indeed The Phenomenal One, and throughout 2016, AJ Styles has given WWE fans a little something extra to be grateful for. Since his shocking arrival at the Royal Rumble, he has electrified the entire WWE Universe, with a renewed sense of hope that things were likely to change, and change they did. Throughout his career, AJ Styles has faced some of the greatest wrestlers on the planet, from Kurt Angle to Shinsuke Nakamura. Styles also has a laundry list of accolades, including championship gold, from promotions large and small, all over the globe. Some of his life and his accomplishments were captured on video, as well as photos. There are some photos that have been seen by millions of the diehard AJ Styles faithful. However, there are several photos that haven't been viewed by too many. Styles and Montell Jordan at the 43rd Dove Awards. This photo was taken at the 43rd annual Dove Awards, in Atlanta, Georgia, at the Fox Theatre. This ceremony took place on April 19, 2012. AJ was a presenter at the awards ceremony, along with Montell Jordan, who is pictured here with AJ. 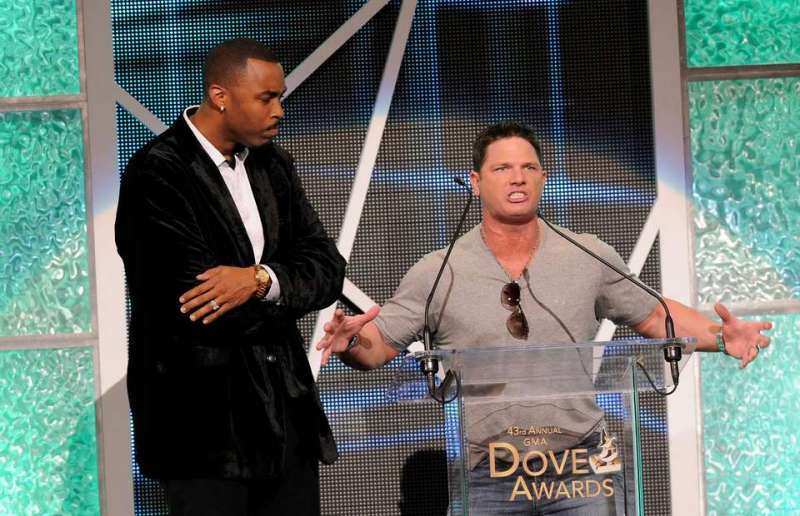 The Dove Awards is a ceremony that is presented by the Gospel Music Association. During the ceremony, the top artists in the Christian music industry are recognised for their outstanding achievements.